LAGOS FASHION AND DESIGN WEEK 2015. APPLY NOW!!! Are you a young creative designer? Do you want to build and showcase your design talents? Lagos Fashion and Design Week (LFDW) is a multiday fashion event platform that aims to drive the Nigerian and ultimately, the African fashion industry; by bringing together buyers, consumers and the media to view the current collections of African designers in the fashion capital of Lagos, Nigeria. 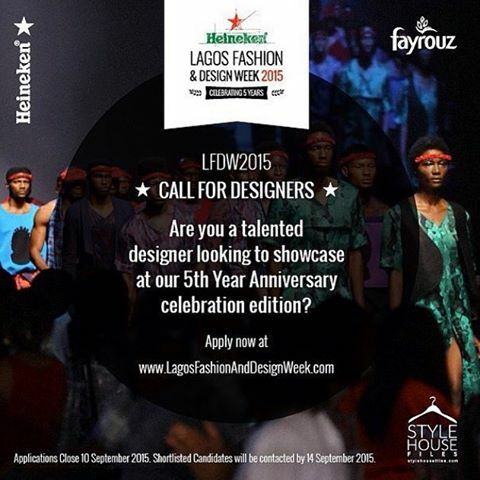 Participate at LFDW’s 5th year celebration.